I love having them on our kitchen table. I look at them while I am working and enjoy them so much. On tap over here: 3 graduation parties, time with the fam, Father's Day and getting outside as much as possible in the beautiful weather! Sounds like you have a busy weekend ahead of you !! Love love love peonies. They're my favorite ! Have a fabulous weekend sweetie ! I love Trader Joe's and LOVE peonies. That's so sweet of TL to get them for you! Have a great weekend! LOVE peonies! I wish we had gotten married two months later so I could have used them at our wedding! have a great weekend! so pretty! so jealous...we don't have tj's here! hmph. i found you via courtney...cute blog and i am loving your paris pics!!! I've got the same bunch in a mason jar on my kitchen table as well! Love it! 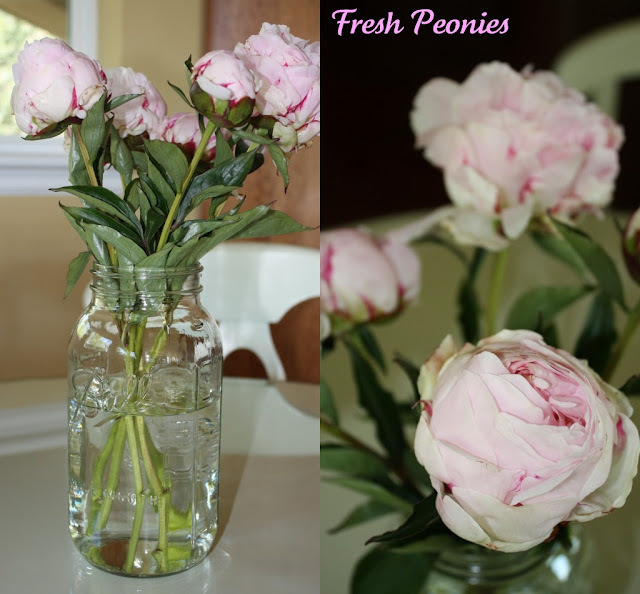 Aren't peonies just lovely...so, so pretty and I love Trader Joe's!!! I hope you have a Wonderful Weekend! so pretty :) sounds like a fun weekend ahead! i can't wait for the outside part.. especially since i'll be heading to your neck of the woods tomorrow morning! have a great weekend! Beautiful flowers :) Have a fab weekend! Those are beautiful!! Love them! I have recently fallen in love with peonies -- they're lovely! Hope you have a fun weekend, looks like you will be busy!! Those peonies are beautiful Tracy ~ mine are not out yet but they will be bursting any time now! Hope you are enjoying your week-end ~ sounds like it is jam packed! i love peonies, hoping to have them in my wedding bouquet! Those look so pretty! Peonies are my favorite flower!! 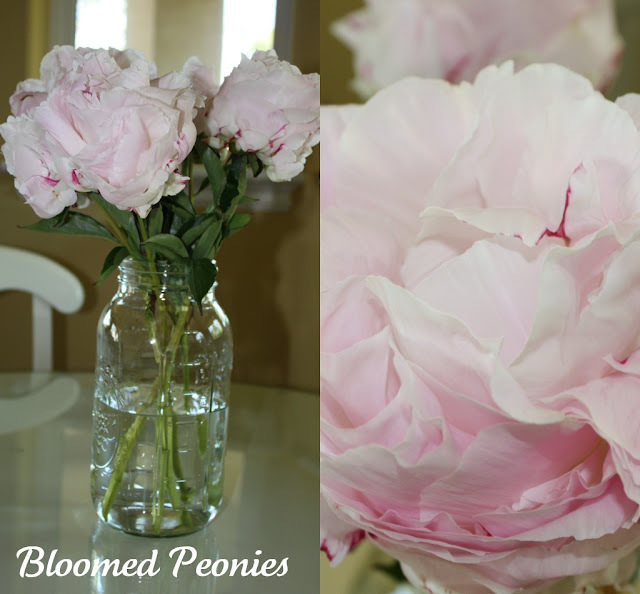 I love peonies so much - and absolutely LOVE that you put them in a mason jar (I know we share a common love of them!). I hope your crazy, busy weekend was absolutely amazing! So so pretty! I was just at Whole Foods and saw they had some but of course they were pretty $$$ so I'll for sure have to stop by TJs and find some $5 ones too! Those are some beautiful peonies. Peonies are my very favorite flower. And like the above commenter mentioned, having them in a jar makes them that much better. Very nice.